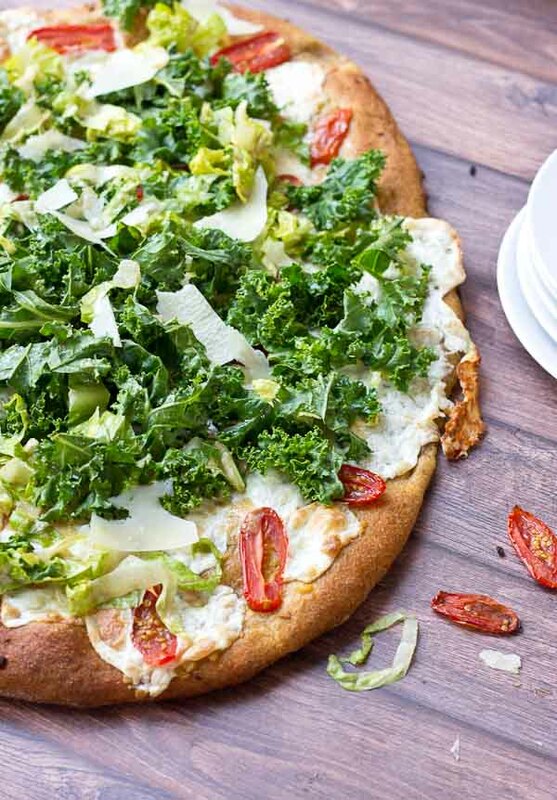 This Kale Caesar Salad Pizza recipe post is sponsored by Unilever. 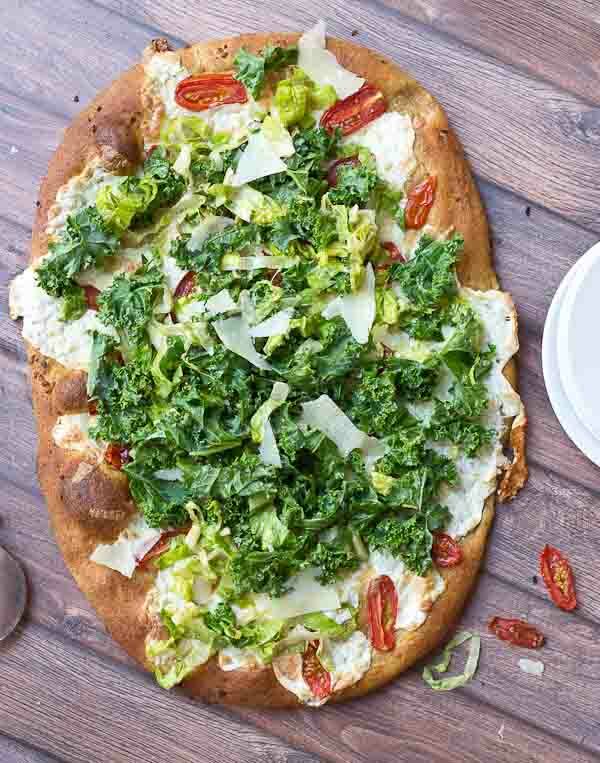 Get your Kale Caesar Salad Pizza on!! 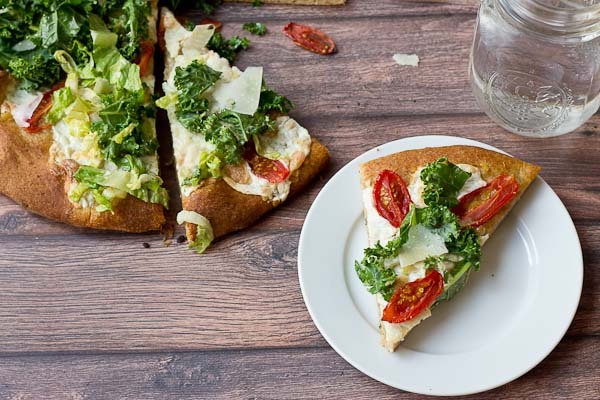 This pizza will be the talk of the town, a delicious Pizza blanca with roasted tomatoes, garlic and fresh mozzarella topped with loads of Kale Caesar Salad. Heads up, there’s a pizza party going on over here today! I know you’re excited. It’s a real yummy show stopper type of pizzzzaaaa. 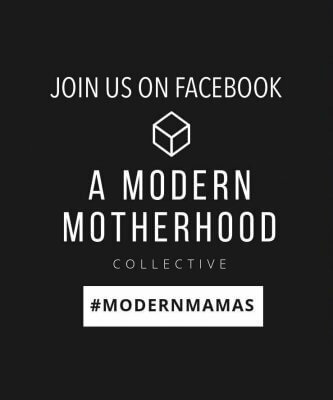 Check it. 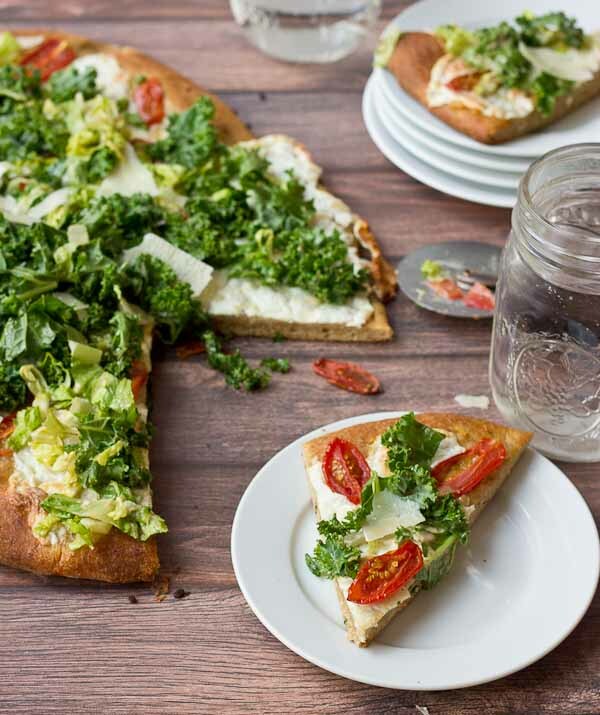 Pizza blanca with roasted tomatoes, garlic, and fresh mozzarella topped with the loads of KALE CAESAR SALAD! Yep, salad on a pizza. It’s happening. 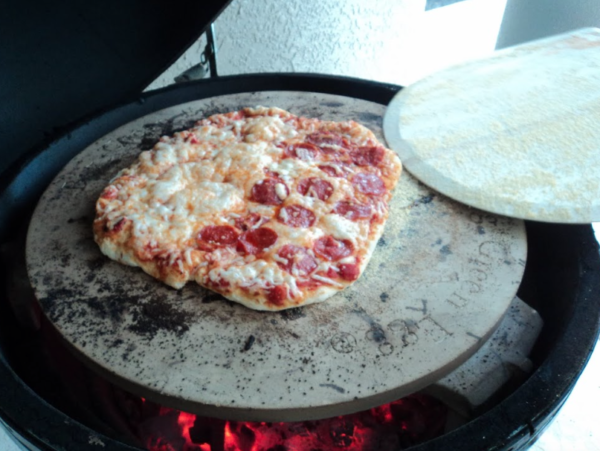 Now you can have your pizza and eat it too with this new pizza topper. 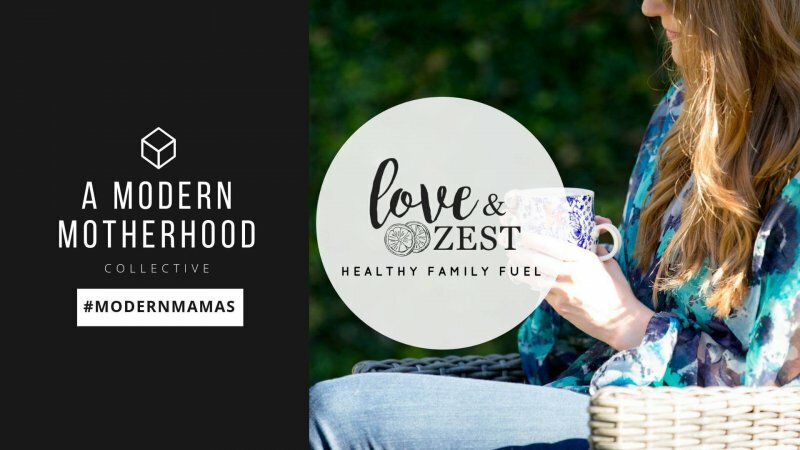 It’s a more nutritious alternative and oh-so-yummmo. In fact, as we were making this one and taking the photos, my sweet little baby crawled right on over to grab himself a bite or two or three of that kale on top. He couldn’t resist that creamy and zesty Caesar Salad Dressing either. Baby after my own heart. 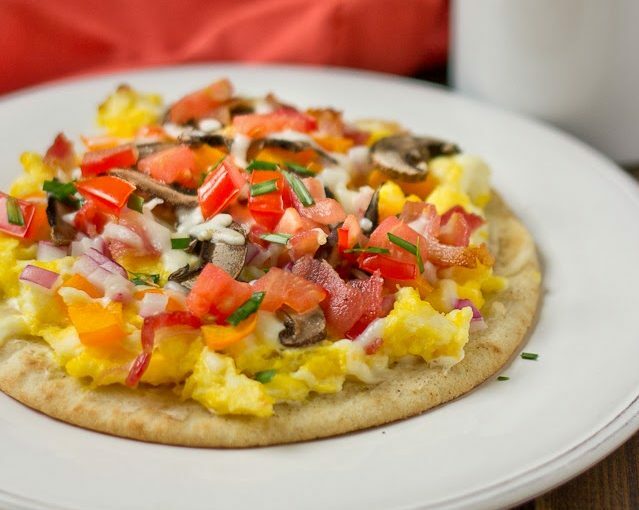 The dressing is made with new new Hellmann’s® Organic Mayonnaise which is so deliciously pure and creamy and made with organic cage-free eggs and organic expeller pressed oil, no artificial flavors or preservatives. In fact, Hellmann’s® is on a mission to use 100% cage-free eggs and responsibly source its soybean oil for all its products by 2020. If you follow me on Instagram, you may have seen that I’ve partnered with Unilever this year as one of their Agents of Change, which included a trip up to New York to the Culinary Institute of America and a bunch more fun to come. 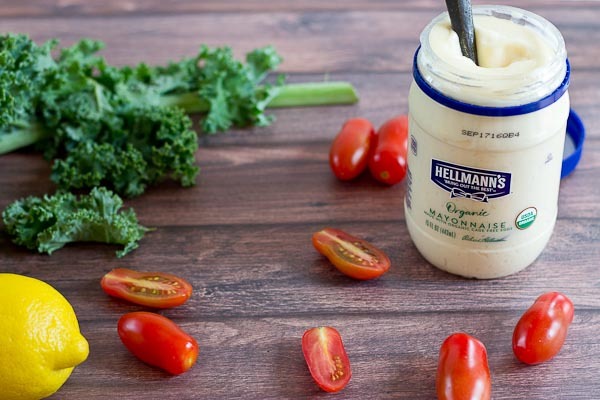 One of the reasons I choose Hellmann’s® Organic Mayonnaise is because a simple ingredient list is important to me—soybean oil, eggs, vinegar, egg yolks, salt, cane syrup, and lemon juice. All food ingredients that I can read and pronounce. You all MUST TRY this recipe like NOW. Or today or tomorrow or ASAP would be fine too. But for real. 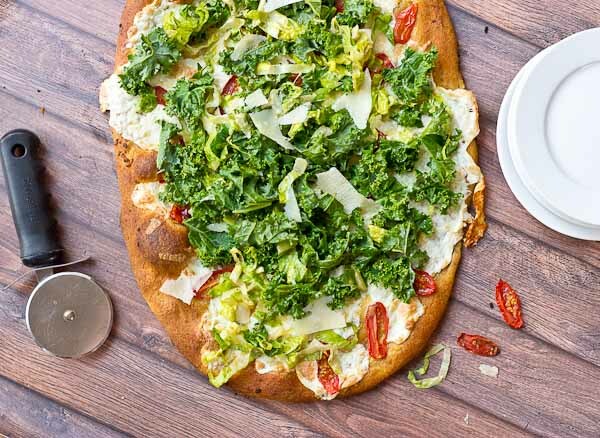 All the pizza lovers in your life (muuuuy hand is raised high in the sky) will be oh-so-excited and will love you forever for making this Kale Caesar Salad Pizza for them, because Caesar Salad on top of pizza is so the thaaaang. 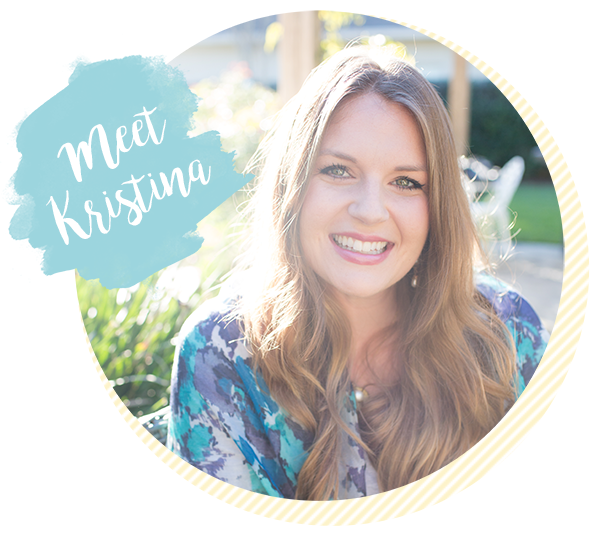 Oh and one more thing you should know about this mayo… I love the rich taste and versatility that it adds to my recipes—like in this Kale Caesar Salad Dressing! 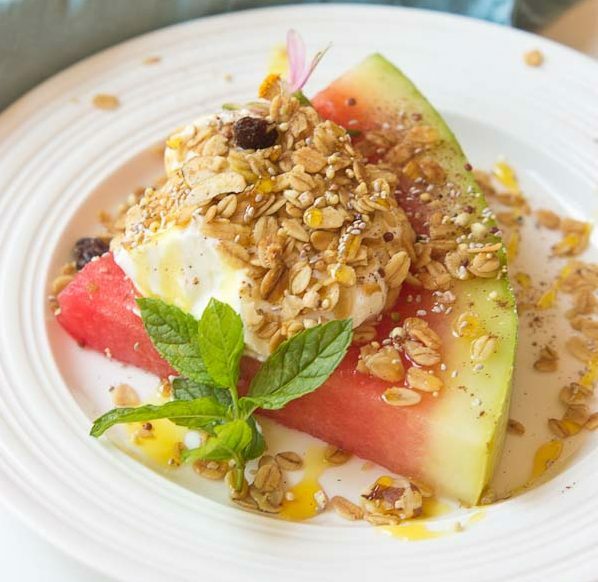 It’s so easy to toss together too with ingredients most of us commonly have on hand. 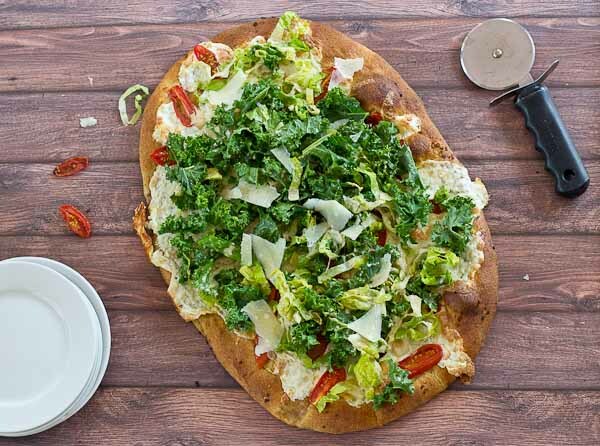 It’s time to get your Kale Caesar Salad Pizza on! 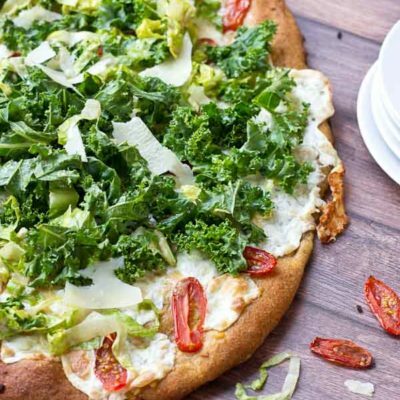 This is a delicious Pizza blanca with roasted tomatoes, garlic and fresh mozzarella topped with loads of Kale Caesar Salad. Preheat oven to 400 degrees F; grease pizza pan or baking sheet with olive oil. Flour a clean surface to roll out pizza dough. Using a rolling pin, roll dough to form a large pizza pie, adding small amounts of flour as needed to rolling pin and dough to prevent sticking. Place pizza pie on prepared baking sheet or pizza pan; spread olive oil and minced garlic evenly on top of dough. Arrange tomatoes and mozzarella on pizza. Bake in oven for 18-20 minutes until cheese is bubbly and crust is golden brown. Meanwhile, prepare kale Caesar salad by placing lettuce and kale in a large bowl. In a food processor, add garlic, mayo, Worcestershire, lemon juice, and salt and pepper and process until creamy. Toss dressing with lettuce and kale until greens are dressed. 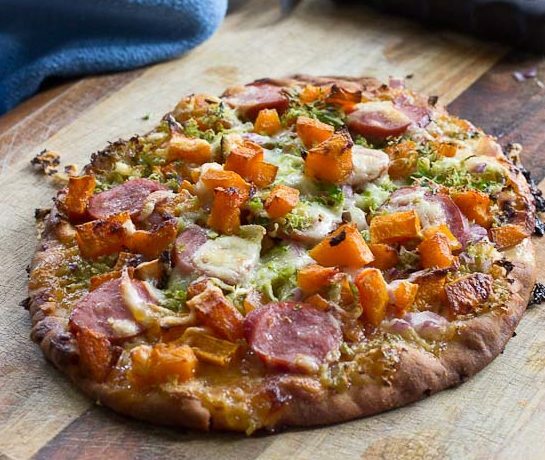 When pizza has finished baking, top greens on pizza and sprinkle with shredded parmesan cheese. 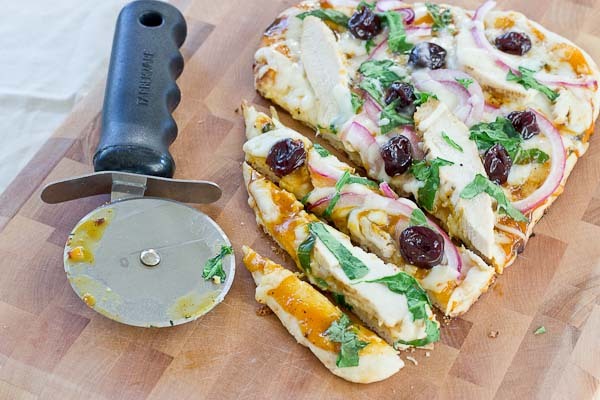 Slice pizza into 8 pieces, and serve immediately.